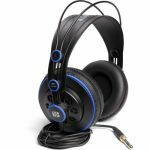 The Shure SRH440 and the AKG K240 are both professional style headphones that are designed for use in the studio or at home for active listening and music monitoring. 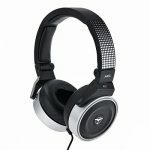 They have similar features and are in the same price bracket so how do you know which headphones are better? 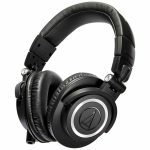 We have looked at the features of both the Shure SRH440 and the AKG K240 to see which ones we think are the better headphones. Both the Shure SRH440 and the AKG K240 have leatherette wrapped padded ear cushions that sit in an over the ear style, giving you extra comfort without the pressure from the headphones on your ears. 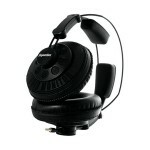 Both the models have adjustable headbands with the Shure SRH440 having a padded wrapped headband. The AKG K240 benefits from a headband that will automatically adjust to the size of your head, meaning you’ll always have the correct fit. The Shure SRH440 is a closed back set of headphones which will help to cancel any outside noises so you can concentrate on your audio. The AKG K240 is a semi-open back set, which will give you a more realistic acoustic sound as it combines the exterior sounds with your audio. The Shure SRH440 has a frequency range of between 10 Hz and 22,000 Hz compared to the AKG K240 which has a frequency range of between 15 Hz and 25,000 Hz. The impedance of the Shure SRH440 is 44 ohms compared to the AKG K240 which is 55 ohms. 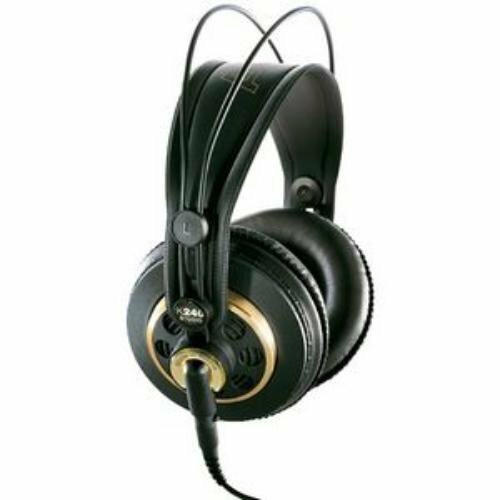 The AKG K240 is a stylish set of headphones with gold accented detailing and an exposed cable on the headband compared to the Shure SRH440 which has the cable concealed within the headband. The AKG K240 headphones is a sturdy set of headphones that allows you to wear them on just one ear. The Shure SRH440 features replaceable ear cushions so you can extend the life of your headphones without needing to replace the whole set. Both models benefit from detachable cables to allow you to suit whatever device you’re using. The Shure SRH440 and the AKG K240 are designed to be used in a studio setting and will work well with high end audio equipment. They will both work equally well with portable devices, such as phones, tablets and laptops, due to their low ohm levels. Both the Shure SRH440 and the AKG K240 have detachable cables that unscrew so you can easily switch between ⅛ inch jack cables and ¼ inch jack cables, giving you versatility over which device you use. The semi-open back design of the AKG K240 means they’re not recommended for using on public transport or on the go, compared to the closed back Shure SRH440 that will contain your audio. Both the Shure SRH440 and the AKG K240 are ideal for monitoring and active listening and both will deliver a high quality sound. 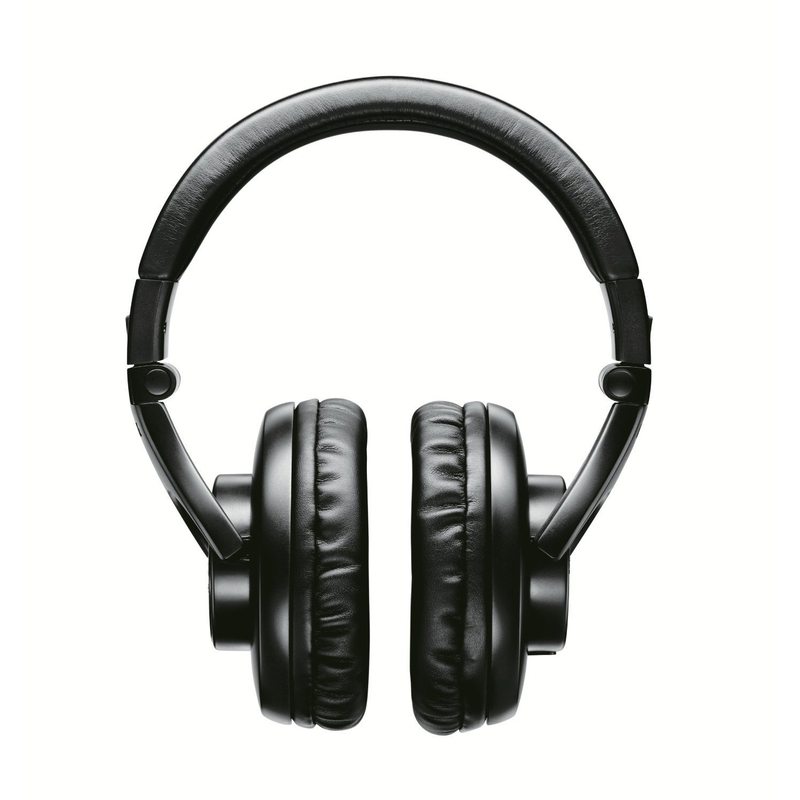 We think the better headphones are the AKG K240 because they have more beneficial features that create better audio. 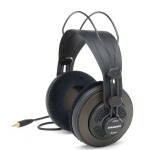 The AKG K240 is also a cooler looking set of headphones and is a more durable model.